One of my favorite parts of Dietrich Bonhoeffer’s life is the spiritual transformation he underwent in the early 30s. Prior to these years, Bonhoeffer had mainly pursued theological studies as an academic, intellectual endeavor. The Bonhoeffer family was Christian, but they weren’t particularly devout by way of church attendance or personal devotion. And while it may be strange to think of someone pursuing theology in a purely academic way, just attend AAR/SBL. Theologians and biblical scholars who have no faith in God are a dime a dozen. That was Bonhoeffer before the early 30s. But then something happened to him. As Eberhard Bethge describes it, the theologian became a Christian. What caused the change? Bonhoeffer’s time in America seemed to have played an important part. Bonhoeffer spent a post-doctoral year in 1930 studying in New York at Union Theological. During that time, two critical things happened. First, Bonhoeffer was exposed to the black church. During his year in New York, Bonhoeffer attended and taught Sunday School at Abyssinian Baptist Church in Harlem. Second, through his relationship with the Frenchmen Jean Lasserre, who was also studying at Union, Bonhoeffer was exposed to the Sermon on the Mount as the Word of God. Prior to this time, Bonhoeffer had used his Lutheran theology to keep the Sermon on the Mount in a box. But after 1930, Bonhoeffer began to see the Sermon at a command to be obeyed. And beyond his experiences in America, I also think Bonhoeffer’s pastoral work with churches, like his confirmation class in the Wedding parish, also had a profound impact upon his faith. He now went regularly to church…Also he engaged in systematic meditation on the Bible that was obviously very different from exegetic or homiletic use of it…He spoke of oral confession no longer merely theologically, but as an act to be carried out in practice. In his Lutheran ecclesiastical and academic environment this was unheard of. He talked more and more often of a community life of obedience and prayer…More and more frequently he quoted the Sermon on the Mount as a word to be acted on, not merely used as a mirror. Bonhoeffer reminds us that fellowship is a gift. We need to receive it thankfully. Often we don’t. We worry about whether we studied enough. We worry about whether we talked enough. We worry about whether we prayed enough. But God does not. When we gather together in the fellowship of the breaking of bread, God smiles. He smiles when we are devoted to each other. Faithfulness is our part. Fruit is God’s. We don’t have to be taking its temperature constantly. Then Bonhoeffer writes: “He who loves his dream of a community more than the Christian community itself becomes a destroyer of the latter, even though his personal intentions may be ever so honest and earnest and sacrificial.” No community is going to live up to your dream of it. And whether you or I realize it, we ourselves will ruin that dream. Bonhoeffer reminds us that in Christian community Christ is the center. Bill Faloon has pursued immortality for decades. Now he’s got lots of company. What does science have to say? Is there any truth to anti-aging schemes? On a Thursday evening in late January, the faithful gather. They trickle into the Church of Perpetual Life, about an hour’s drive north of Miami, until a throng of around 100 people cram around tables lining the first-floor hall of this renovated house of worship. Along one wall is a display of reading material: pamphlets on heart disease, flyers itemizing the additives in Cheez-Its and their detrimental health effects, a handbill about the Ms. Senior Florida pageant. On the other side of the room, there’s a snack buffet with beans, broccoli, carrots, cubed cheese, sliced meats, and olives. It’s easy to pick out the regulars, who mingle clutching biology textbooks or readily shaking hands. At 63, Faloon is old enough to remember when such talk labeled you a kook or charlatan. In the late 1970s, he co-founded the Life Extension Foundation, a nonprofit promoting the notion that people don’t need to die—and later started a business to sell them the supplements and lab tests to help make that dream real. Nowadays he also distributes a magazine to 300,000 people nationwide and invites speakers to monthly gatherings at the church, billed as a science-based, nondenominational meeting place where supporters learn about the latest developments in the battle against aging. Their faith is in human technologies that might one day end involuntary death. After an hour of mixing, we all head to the second-­floor nave and fill the pews for the evening’s event. Several rows back sits a beer scientist. Next to me, two women in dresses and heels. At the front, an elderly gentleman with hearing aids. Tonight’s speaker is Aubrey de Grey, a biomedical gerontologist and chief science officer of SENS Research Foundation, a Mountain View, California, outfit that studies regenerative medicines that might cure diseases associated with old age. De Grey’s startup reflects the rush of Big Tech money into this arena as the U.S. population ages. Baby boomers are retiring, and the Census Bureau estimates older people will outnumber children by 2035. Google launched Calico in 2013 to solve the challenges of aging and associated illnesses. Two years later, Facebook founder Mark Zuckerberg and his wife, Priscilla Chan, started the $3 billion Chan Zuckerberg Science program, whose lofty goals include curing all disease. And Amazon founder Jeff Bezos and PayPal co-founder Peter Thiel invested in Unity Biotechnology, launched in 2016 to develop therapies for age-related ailments. But costly grace is not just costly; it is also grace. 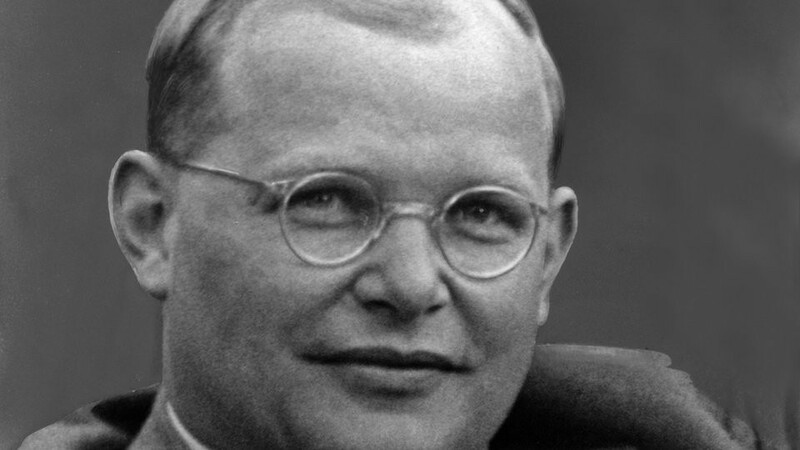 “It is costly because it costs a man his life,” writes Bonhoeffer, “and it is grace because it gives a man the only true life.” Bonhoeffer points us to the false dichotomy between preserving our lives and responding to the needs of the world. It is through costly grace that we receive our real lives. Emily C. Heath is senior pastor of the Congregational Church in Exeter, New Hampshire, and author of Glorify: Reclaiming the Heart of Progressive Christianity and Courageous Faith (both from Pilgrim Press). Heath’s blog is part of the CCblogs network. In treacherous times, when powerful people and systems threaten us or others, we have to ask what God wants us to do—and we have to accept that doing it will cost us something. 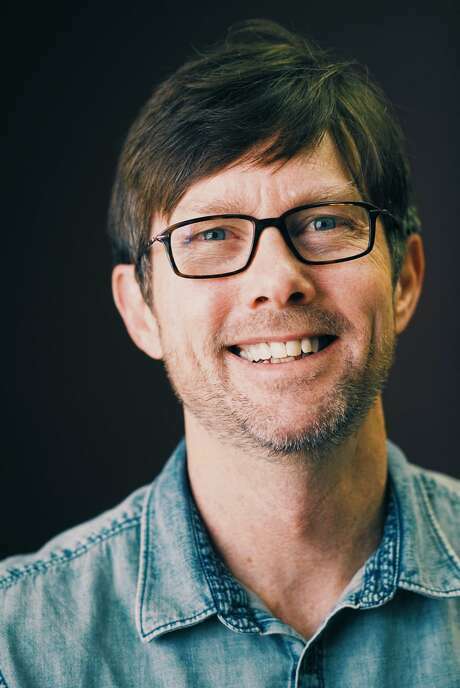 While there is a chance that the choices faith asks us to make will result in physical death, as it did for Bonhoeffer, the cost is likely to stop short of that. Choosing to do the right thing probably won’t make our hearts stop beating. But what if it did? What would be worth that risk? If you are like most people, your list of people and ideals you’d be willing to die for is a very short one. Yet there’s something else we seem to be willing to risk our lives for: our fears. We allow fear to deprive us not of heartbeats and breaths, but of something even more precious: the fullness and beauty of a life lived well. For those of us who believe that we rest in the hands of an eternal and ever-loving God, living a life full of fear is worse than dying. The great threat to Christian faith is not that we will not be safe from the world’s dangers but that we will be held captive by our fear of them—that we will have more faith in our fear than we have in Christ. This can be hard for North American Christians to understand, since we have rarely faced persecution. But the mission of the church is not to avoid causing a stir, nor to hold on to things that cannot save us. As Jesus says, to save your life you have to lose it. Christians are not called to recklessness, but we are called to action.